The capping of age band pricing was among the more important changes the Affordable Care Act (ACA) mandated for older Americans who buy commercial insurance policies. Before the ACA was enacted, insurers could jack up premium prices based on the expected medical needs of new customers ― which meant, inevitably, charging older policy holders a lot more than younger ones. The Affordable Care Act capped what insurers could charge their older and most in need of healthcare customers at no more than three times what they charge their youngest ones. Republicans claim that relaxing or eliminating the age band cap, to again allow insurance companies to make older policy holders pay much higher insurance premium prices, would mean lower premiums for younger people. However, even if allowing insurance companies to charge higher rates to seniors would lower rates charges to younger insurees, those low rates would be much less dramatic than Republicans claim. 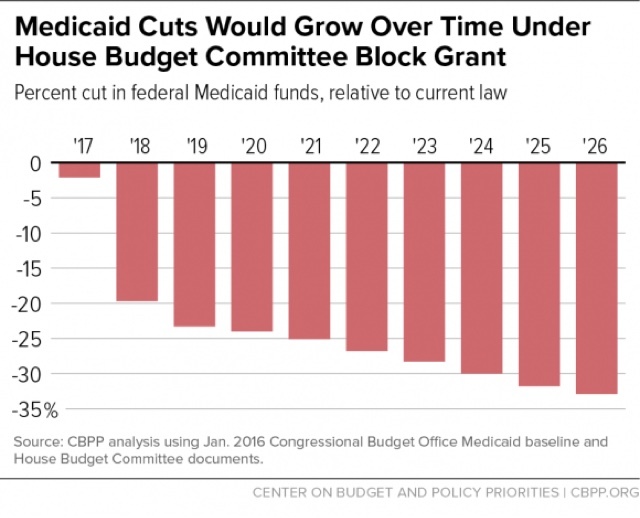 As for Medicaid, Republicans have wanted to convert it into a block grant since long before the ACA was enacted in 2010. The GOP goal is to "grant" or give states a block of federal money with complete control over that money and, more importantly, to reduce the program’s funding ― perhaps by a dramatic amount. According to the Center on Budget and Policy Priorities, the most recent budget from House Speaker Paul Ryan (R-Wis.) would mean 33 percent cut in annual Medicaid budget allocations within the decade. Republicans claim their planned cuts to Medicaid will cut billions of dollars out of the federal budget, and at the same time give healthcare spending control to governors of each state. 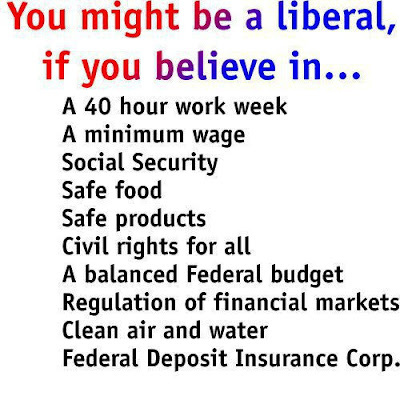 But with so much less money to spend, state governors wouldn’t be able to finance as many benefits for as many people. “A block grant would end the guaranteed access to care for millions of Americans who are eligible and instead provide a fixed amount of federal funding to each state for its Medicaid program, which may not take into account increases in actual cost or need,” AARP senior vice president of government affairs Joyce Rogers wrote members of the U.S. House Energy and Commerce Committee in a letter last week. Of the 70 million Americans covered by Medicaid, more than 17 million are “low-income seniors and children and adults with disabilities who rely on the program for critical healthcare and long-term services,” Rogers said. The Affordable Care Act also expanded Medicaid, with 31 states plus the District of Columbia opting to do so. Though block grant Medicaid goal was a just a couple of sentences in candidate Trump's healthcare proposal, it has become a key goal in President Trump's White House administration. Trump advisor Kellyanne Conway two weeks ago said Medicaid block grants would be part of the repeal and replacement of the Affordable Care Act as a way to give states more flexibility. "Those who are closest to the people in need will be administering it," she told NBC. Giving so much less money to each state as a block grant pushes the planned deep cuts to healthcare services down to state governors and legislatures. 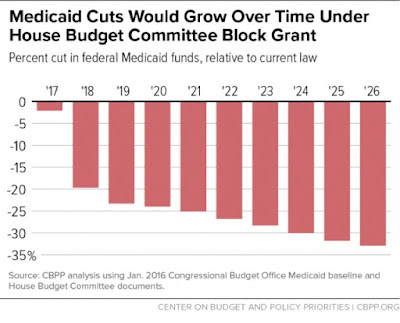 Most of those cuts will surely fall on older people, particularly since the majority of spending in Medicaid goes to elderly and disabled people who use it to supplement Medicare. Among other things, Medicaid is the nation’s largest payer of long term skilled nursing care. In other words, state governors get the blame for cutting healthcare services for seniors and their families who need healthcare aid the most. Seniors afflicted with Alzheimer's disease and other illnesses requiring long term care in nursing homes would no long receive money from Medicaid to help pay the $5,000 to $7,000+ monthly costs for that care. The children and grandchildren of those seniors will have to pay their month health care bills, or move them into their homes to provide home care themselves. And it's not just Medicaid that's on the chopping block if Republicans repeal the ACA. Important Medicare benefits for seniors are mandated by parts of the ACA. ACA mandates no cost preventive care benefits for Medicare recipients, including flu vaccinations, mammography screenings and colonoscopies. Those who use Medicare also have access to annual wellness checks, can establish health plans with doctors, and overall lowers out-of-pocket costs for seniors. 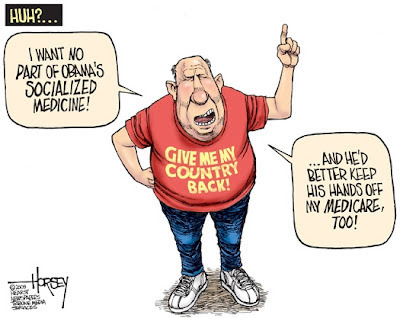 Obamacare, as the ACA is commonly known, expanded Medicare’s prescription drug benefit to slowly close the doughnut hole, the term used to describe a gap in coverage. The gap is created when Medicare stops paying part of the cost of drugs, so beneficiaries have to pay full price. Once out-of-pocket costs reached “catastrophic” level, however, Medicare kicks in, paying a portion of drug costs again. In 2017, Medicare beneficiaries who fall into the doughnut hole will receive discounts and savings of 60 percent on the cost of brand-name drugs and 49 percent on the cost of generics. Those savings will increase to 75 percent for both brand-name and generics by 2020, under the current law. In 2020, the coverage gap disappears completely. This year, the coverage gap kicks in when a beneficiary’s total drug costs, both his and his insurer’s, reach $3,700. The gap closes and coverage kicks in again when the beneficiary’s total costs reach $4,950. Free screenings for diabetes, heart disease and cancer, as well as other preventive services, could also be cut. House Rep. Tom Price ,R-Ga., Trump’s choice to head the Department of Health and Human Services, introduced healthcare legislation in 2015 and 2016 that included axing these. One of the proposals to replace Obamacare is to convert Medicaid from a guaranteed benefit to block grants, where states would get a set sum from Washington and decide how to spend it. While Medicaid provides healthcare to the poor, it has a not-so-well-known allowance: It also pays for long-term care for older people, mostly nursing home residents. The AARP is also warning its members about the GOP's further agenda to convert Medicare into a premium support voucher program while at the same making deep cuts in the Medicare budget, and convert Social Security into private savings account program that will function like a 401K plan. Under a premium support voucher system, the federal government would replace Medicare beneficiaries’ guaranteed benefit package with a fixed dollar amount or “defined contribution” that beneficiaries would apply toward their health care coverage. This fact sheet describes the likely impact on Medicare beneficiaries of moving to a premium support system, also known as a defined contribution or voucher system. And the AARP is not the only GOP constituency group that is going to take a very active interest in what happens to the Affordable Care Act. Republicans talk a lot about financing their schemes with changes to the tax treatment of employer health insurance. 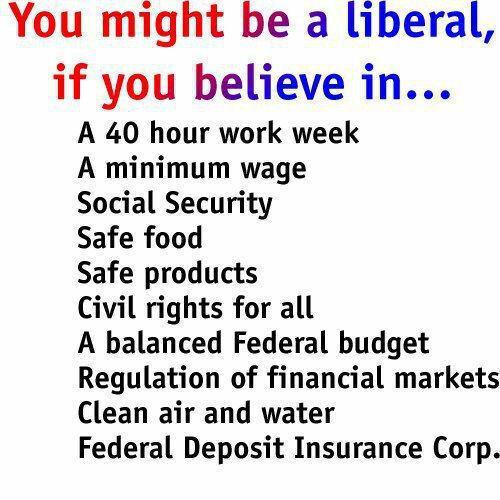 That’s bound to raise objections from both businesses and unions. Most Republican ideas for repealing the ACA involve some combination of fewer people insured and weaker coverage for those who have insurance. That doesn’t sit well with hospitals, which end up taking losses when people who need care can’t pay for it. Republicans can negotiate with these constituency groups to win their support, or at least perhaps their silence. But trade-offs in healthcare policy are inevitable, and every accommodation that Republicans offer to one group like the AARP, will show up as a cost for business owners, hospitals, or GOP governors. Time is short with the midterm primary cycle starting only a year from now. The negotiations themselves are bound to take time and effort, and create plenty of embarrassing news stories on which Democrats might use against Republicans up for election in 2018 ― just as Republicans did against Democrats in 2009 and 2010, when they were crafting the ACA, which Republicans now seek to erase. Democrats were willing to endure that bad publicity ― and, more broadly, to stick with a politically difficult process, even as it dragged out for over a year ― because making health care available to everybody had been one of the party’s most important priorities for something like three-quarters of a century. Recent news suggests Republicans can expect a similarly difficult experience if they proceed. Already, lawmakers are getting flooded with calls and hearing from protesters worried about losing insurance. And if the polls are correct, the public suddenly feels more favorably about the ACA than it did before ― perhaps because the prospect of losing the program is making people think about the parts they like. At last week’s party retreat in Philadelphia, during a private meeting recorded and leaked to the press, Republican lawmakers talked openly of their inability to deliver promises of better care at lower costs. Over the weekend, Rep. Dave Brat (R-Va.) practically begged his supporters to start speaking out, because town halls have gotten so difficult. On Tuesday, in an interview with Vox, Rep. Phil Roe (R-Tenn.) admitted that rolling back the Medicaid expansion “is going to be a little harder than I thought” because so many people, in so many states, have come to depend on the program. Republicans still have the votes in Congress to pass repeal legislation, and in Trump they have a president who would sign that bill into law. Having invested so much time in the cause, having made such concrete promises to their voters, GOP leaders will find it difficult to leave the ACA (Obamacare) mostly intact. But seeing repeal through the legislative process will require an enormous investment of political capital and time ― as Election Day, November 2018, gets a day closer every day. That’s a high political price to pay - if Democrats can manage to execute a strategy to make them pay that high price.